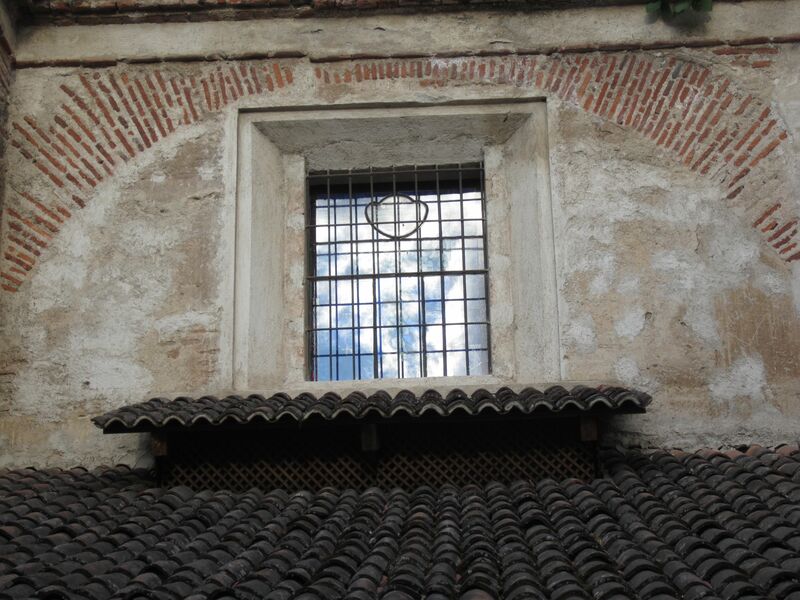 Photo taken of a window of the Iglesia de San Francisco in Antigua, Guatemala. If a picture paints a thousand words…..
Ah yes, I remember taking photos of this window! Didn’t it turn out cool? I think so! I love your banner at the top! Thanks! I took that in Nepal two years ago. That was the trip that made me start my main blog, thirdeyemom.com I have lots more photos on that blog from Nepal. Thanks for the nice compliment! Thanks! I saw the picture op and took it and was thrilled that it actually turned out. I love reflections. Hope you are doing well and had a nice weekend! Wonderful weekend, thanks Nicole, though I’m drowning under the contents of my in-box now I’m home! Didn’t you go away somewhere? Looking forward to your posts!!! Yes, it gets overwhelming in the inbox. Especially because I am subscribed to so many blogs. But I have two accounts, one for personal and the other for blog related stuff which makes it so much more manageable. I try not to stress too much and pick and choose which posts I can read. If I can’t read them I save them there for later as it isn’t my main inbox. Yes, I went ‘upcountry’ for a few days. Forests and mountains, and much of the time out of internet access, so my blog inbox has several hundred emails, and gmail is demanding more and more of my hard drive to accommodate them all:( If I ignore them, the inbox just gets higher and higher! I think I’d rather just pop into the blogs I like, and surf around for others, without this inundation.